Study after study has proven what we along the coast already knew to be true, that spending time at the beach reduces symptoms of anxiety and depression and contributes to an overall sense of wellbeing. These benefits are magnified exponentially for those who are fortunate enough to live by the shore. 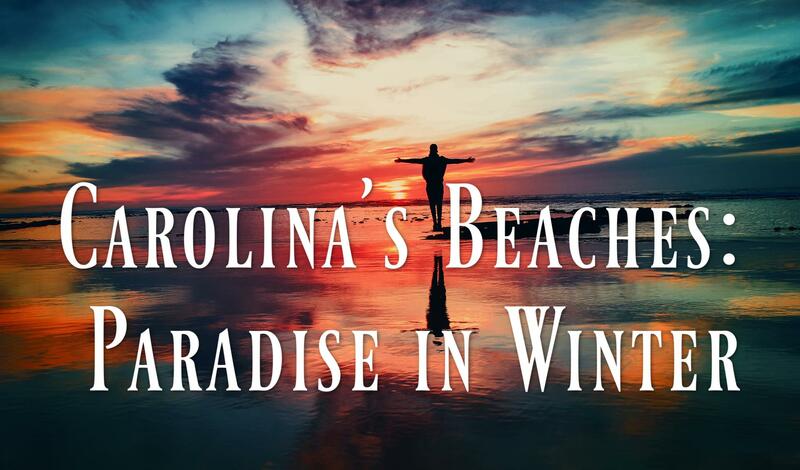 Whether you’re around for a visit, or you call the beach “home,” the colder months, when sunshine is in short supply and so many of us feel those wintertime blues, the joy of crashing waves and ocean air cannot be overestimated. We asked our agents to tell us about their favorite aspects of spending time at the coast during the offseason, when things slow down, the days are short, and there’s plenty of room to spread out and enjoy a sandy respite from the stresses of every day. "Love putting on my rain boots and sloshing through the water looking for sea glass to add to my collection." "You can always find the best seashells and sharks teeth in the winter! The nor'easters change the current to expose them all in their glory, and the tourists aren't here to pick them up first!" "It's always so quiet and sometimes you have the beach to yourself! I love being able to walk property and not have to worry about snakes as much!" "Being the only ones on the beach in the quiet wind watching the dolphins ride the waves!!" "Picking up sea shells after the rain when nobody is there." "Taking my dog, Andy, to play! He loves the sun, sand, birds, and waves. It is the perfect time of year to enjoy the beach with him." "My favorite thing about the beach in the winter is taking my dogs to the beach to let the have some salty fun!" "I love the wide open view of the sand, and ocean...the smell, and the sound of the roaring sea....there is a calming force there!" "Known locally as ‘The Loop’, this 2.5 mile stroll through Wrightsville is a fun and Fido friendly year round activity. With both dog and people fountains, fur child friendly restaurants and so many parks to choose from, this is a great way to explore Wrightsville. Doggie bath stations make beach cleanup a breeze!" "No waiting in winter...for brunch at Daddy Mac's Beach Grille in Surf City! Ribeye Oscar with Chesapeake Benedict and mimosas....then a leisurely walk on the beach stopping to sit and just relax watching the waves." "Walking on the beach in the winter time is very relaxing!!"